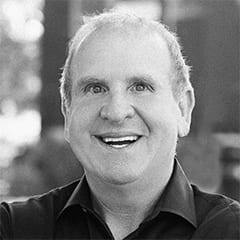 Mike Rovner is President and Founder of Mike Rovner Construction, Inc., ranking among California’s most prominent general contractors with 300 employees and $60 million in annual revenues. Together with an exceptional team of industry-recognized professionals, Mike Rovner Construction has completed multi-million-dollar renovation projects for a portfolio of construction industry leaders that includes Shapell Industries, G & K Management Co., Inc., The Irvine Company, Legacy Partners, Essex Property Trust, as well as many others. Mike Rovner Construction’s clients celebrate the company for its steadfast commitment to the highest possible quality workmanship – delivered on time and on budget. That’s why Mike Rovner Construction ranks among the top of preferred contractors lists for prestigious developers and asset management firms throughout California. Marking more than three decades in the construction industry, Mike Rovner established his company in 1992 following a notable career as a contractor specializing in painting and drywall for residential and multi-family units. His extensive background encompasses estimating, scheduling and all areas of materials acquisitions and operations working in tandem with architects, engineers and designers. In addition, he is noted for his vast experience in working successfully with relevant governmental agencies, bringing to the table longstanding professional relationships that have served to deliver impressive results for client projects. Faith has always played a pivotal role in Mike Rovner’s distinguished professional career – to the degree that he is an in-demand speaker on ethics in business and has authored a soon-to-be-published book based on his principles of values and success. Rovner serves on a variety of non-profit boards and organizations, including the Los Angeles Dream Center, and is a member of the Urban Land Institute, Building Industry Association of Southern California (BIASC), California Building Industry Association (CBIA) and the National Association of Home Builders (NAHB).